We have received some correspondence regarding the article by Jeremy Walker, ‘John Owen and The Death of Death in the Death of Christ’, posted on the website April 17, 2007.1 The comments received and Pastor Walker’s reply appear below. I found Jeremy Walker’s supposed review of John Owen’s Death of Death2 to be lacking objectivity. Jeremy Walker failed to give John Owen’s Death of Death a fair and objective assessment. His primary motivation for writing his article seems to be a defence of the Free Offer of the Gospel. 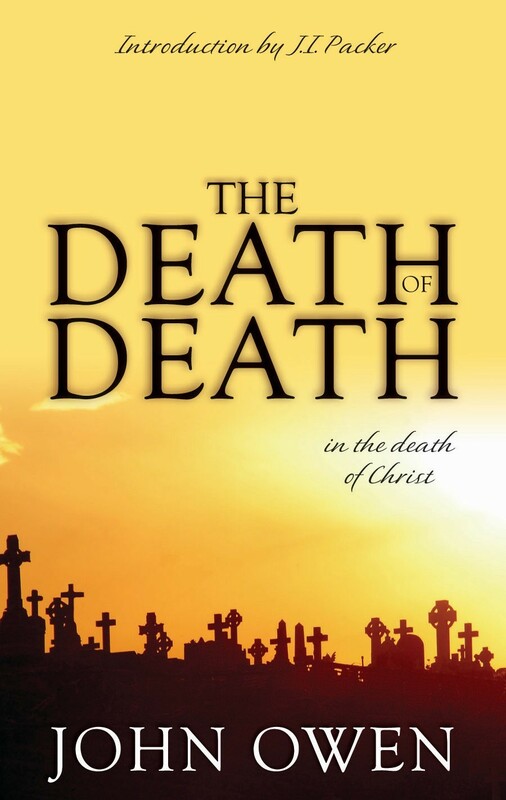 Those familiar with Death of Death will have noticed that Jeremy Walker ignored many passages that would have given a very different perspective. What motive would it be hereunto to tell believers that God would have those saved who neither do, nor ever will or shall believe? That I say nothing how strange it seems that Christ should be the Saviour of them who are never saved, to whom he never gives grace to believe, for whom he denies to intercede, John 17:9 (Death of Death, page 79). It is a vain imagination of some, that when the command and promise of believing are made out to any man, though he be of the number of them that shall certainly perish, yet the Lord hath a conditional will of his salvation, and intends that he shall be saved, on condition that he will believe; when the condition lieth not at all in the will of God (Death of Death, page 199). We deny that all mankind are the object of that love of God which moved him to send his Son to die; God having ‘made some for the day of evil,’ Prov. 16:4; ‘hated them before they were born,’ Rom. 9:11, 13; ‘before of old ordained them to condemnation,’ Jude 4; being ‘fitted to destruction,’ Rom. 9:22; ‘made to be taken and destroyed,’ 2 Pet. 2:12; ‘appointed to wrath,’ 1 Thess. 5:9; ‘to go to their own place,’ Acts 1:25 (Death of Death, page 115). That God should at all times, in all places, in all ages, grant means of grace or call to Christ as a redeemer, or a participation of his mercy and goodness in him manifested, with strivings and motions, of his Spirit for men to close with those invitations, is so gross and groundless an imagination, so opposite to God’s distinguishing mercy, as contradictory to express places of Scripture and the experience of all ages. If the proffer be (as they say) universal, and the intention of God be answerable thereunto – that is, he intends the salvation of them to whom the tender of it upon faith is made, or may be so; then – First, What becomes of election and reprobation? Neither of them, certainly, can consist with this universal purpose of saving us all. Secondly, If he intend it, why is it, then, not accomplished? doth he fail of his purpose? . . . But did the Lord foreknow whether the condition would be fulfilled by them to whom the proposal was made, or not? If not, where is his prescience, his omniscience? If he did, how can he be said to intend salvation to them of whom he certainly knew that they would never fulfil the condition on which it was to be attained . . . without his bestowing, and that he had determined not to bestow it? Would they ascribe such a will and purpose to a wise man as they do ignorantly and presumptuously to the only wise God – namely, that he should intend to have a thing done upon the performance of such a condition as he knew full well without him could never be performed, and he had fully resolved not to effect it: for instance, to give his daughter in marriage to such a one, upon condition he would give him such a jewel as he had not, nor can have, unless he bestow it upon him, which he is resolved never to do? Oh, whither will blindness and ignorance, esteemed light and knowledge, carry poor deluded souls? (Death of Death, pages 200-201). I am grateful to Mr Greenway for taking the time to read the introduction to John Owen’s life3 and to The Death of Death, and for his thoughtful response to it. Mr Greenway suggests that my primary motivation was to defend the free offer of the gospel. As the first footnote indicates, the article was originally intended for The Bible Lamp magazine, a periodical in the Tamil language. It was written to help Christians (especially pastors) – who would have little access to some of these great works in English – get to grips with aspects of the glorious gospel of grace: this was the primary motivation. A focus of this article was the issue of particular redemption, or definite or limited atonement. In other words, God the Father had a definite purpose in sending his Son; God the Son had a definite purpose in dying, and has a definite purpose in interceding; God the Spirit has a definite purpose in applying the blood of the now-risen Son of God to sinners; and, this definite, divine purpose does not and cannot fail: the Saviour achieved all that he set out to achieve. These arguments of Owen’s demand two conclusions: first, that Christ’s work was effective and accomplished its end, in which case it cannot have been intended to save any who will finally perish, and, second, that if God had intended to save all men then either God must have failed in his purpose (which would be blasphemous to assert) or all men must be saved (because God cannot fail in his purpose). Here the glory of Christ’s finished work is made scripturally to shine forth. [Note that, in the context, God did not intend to save all men, so neither of those last two conclusions is warranted]. I happily acknowledge that there is a particular emphasis in the piece, reflecting the original intention of the article, but I am not persuaded that there is any misrepresentation of John Owen, whose writings have been, for many faithful men past and present, a help in grasping not only the wonderful definiteness and finality of Christ’s atoning work, but also the fulness and freeness of the gospel offer. I hoped to hold these things in their Scriptural tension, and trust that God helped me to do so. See Dr. John Owen 1615-1683: 1. The Life of John Owen and Dr. John Owen 1615-1683: 2. John Owen as Man and Minister, posted on the website in April 2007.